Since its founding in December 2005, Innovative Language Learning, LLC has become a leader in creating dynamic and authentic language learning content through its family of websites, mobile applications, downloadable software and audiobooks. Innovative Language Learning is the world's largest language education mobile application developer, with over 690 apps in over 40 languages for sale in the iTunes Apps store. 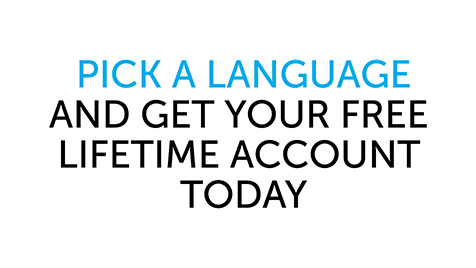 Innovative Language Learning, LLC offers an innovative, fun, and easy to use language learning system that is designed to get you speaking from the very first lesson. Learn at your own convenience and pace with our short, effective, and fun audio podcast lessons, a comprehensive, state-of-the-art Learning Center, and a vibrant user community. We offer something for everyone, from the absolute beginner making contact with the language for the first time to the seasoned speaker. Our short and fun audio lessons and rich collection of accompanying resources are designed to take you from absolute beginner to advance in no time. With a diverse mix of mobile products to choose from, you'll easily fit language learning into your busy life - not the other way around.